In fact, innovative uses of CO2 have been around for almost a century. But advances in recent years have led to the development of simple technologies that can transform our manufacturing and cleaning processes, while saving the environment we live in. Cool Clean Technologies has come up with a number of unique ways in which recycled CO2 can be used, and has gained the attention of many influential organizations that have supported our efforts to develop green manufacturing methods. In 2007, Cool Clean Tech was a company that was completely focused on developing dry cleaning machines that used CO2 instead of PERC to clean garments. But Arlin Gyberg, a professor of chemistry, thought the tech could be used to develop something completely different – cleaner biofuels. The goal is to one day be able to use algae to power vehicles, but companies generally tend to use petroleum products to extract the oil from algae. Using a liquid CO2 extraction method helped the team extract this oil in a more sustainable and environmentally conscious way. 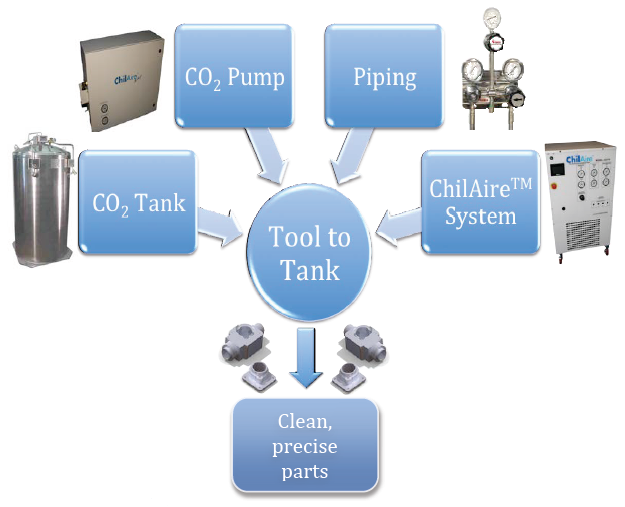 The URDI has partnered with Cool Clean to develop a sustainable fuel extraction technology. 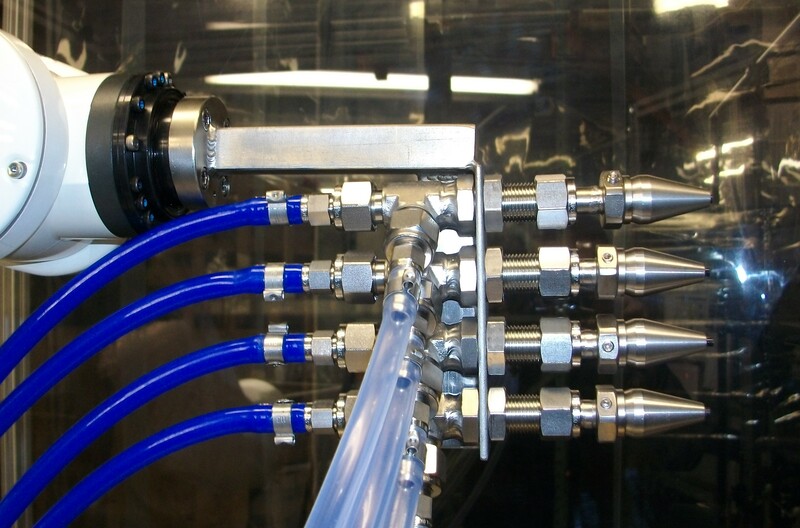 Extracting oil from feedstock is an issue many research facilities are focused on and the URDI supports the use of CO2 for these complex extraction systems. 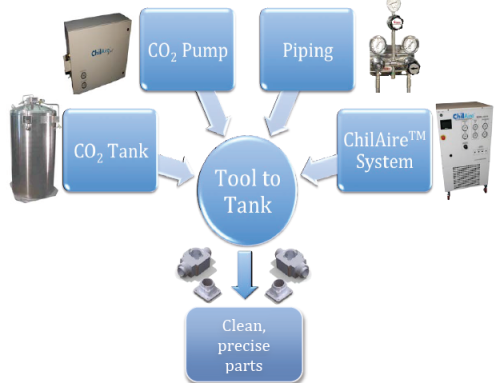 The USB helped to promote machine coolants that use soybean oil and CO2 instead of petroleum. The partnership involved the use of the company’s ChilAire™ system along with soybean oil. Tech Solve helped the partners gather data about the many ecological and commercial benefits of this new technique. Cool Clean has worked to bring its CO2 technology to the United States Air Force Academy and Research Laboratory. 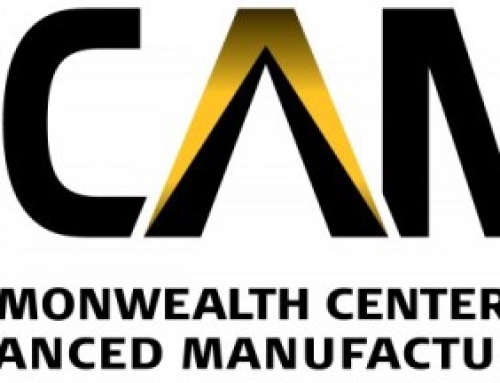 Both the USAFA and the AFRL have looked to upgrade their composite machining systems used at their facilities. 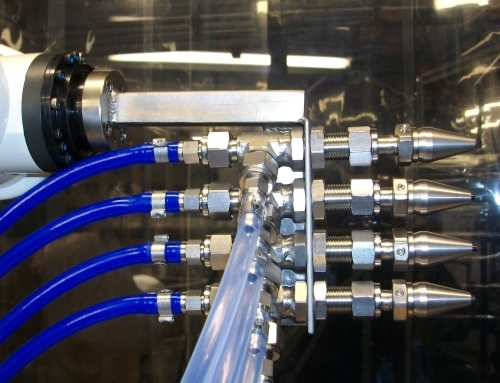 The Air Force believes using these CO2 systems provide better performance and a more eco-friendly approach to machining over traditional coolant methods. 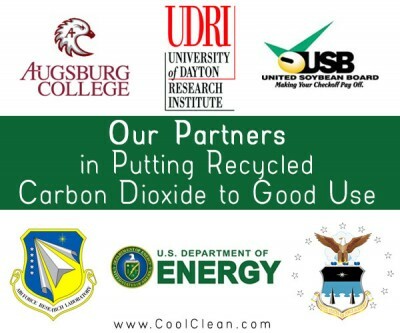 Cool Clean has a Cooperative Research and Development Agreement (or CRADA) with the USAFA in Colorado Springs to develop renewable energy alternatives for the nation’s Air Force. The DOE could be one of the biggest partners of the company, since it provided grant funding in the early years to further develop our innovative technology. 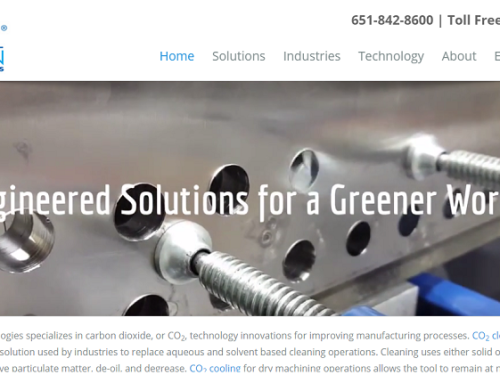 The government department approves the company’s applications for liquid CO2 and dry ice cleaning techniques, which is one of the best possible testaments to the fact that Cool Clean systems are a positive force in the global mission to offer manufacturing methods that don’t harm the environment. These days, nearly every leading scientific power in the world is focused on innovative ways to make our way of life less harmful to our planet. 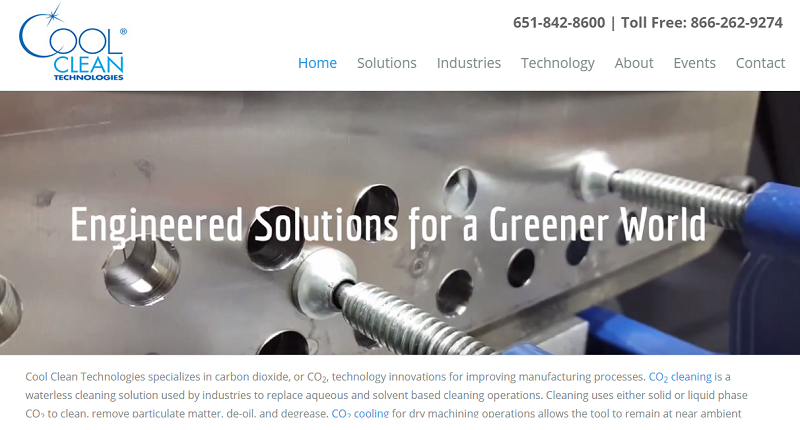 Here at Cool Clean, we feel humbled and fortunate that so many prominent groups have recognized our work and continue to support us in developing eco-friendly applications for CO2 technology.